William W. Coleman, Jr. was born in Pamplico, SC. His friends and family started calling him by the initial W. and it has stuck all these years. It seems like he never meets a stranger and such a Southern Gentleman. He is a retired bank president. W has been an owner and broker of a commercial Real Estate Company since the early 2000’s. In 2017 he joined Griggs, Floyd & Grantham Real Estate Services as a Realtor. He has diversity in land, development, commercial and residential. He is a proud graduate of the 1971 Class of Francis Marion University. 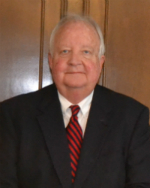 He currently serves on the Francis Marion University Board of Trustees since 1988 and has since 1988. W currently serves on the board of trustees with The Citizens Bank, Carolinas Hospital and Francis Marion Foundation. He is a member of Central United Methodist Church and is married to Rosamond Rollins of Lake City. Nothing would make him any happier than to assist you in any of your Real Estate Transactions.